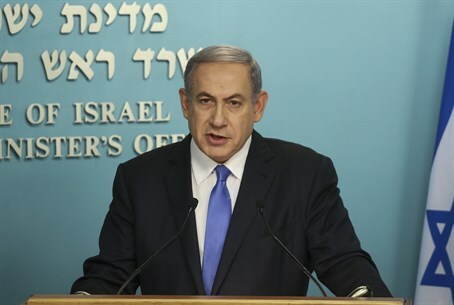 Israeli officials responded with outrage on Monday to a detail hidden in the back of the Iran nuclear deal signed last Tuesday, according to which the West will train Iran to defend its nuclear facilities from sabotage. "The US needs to defend Iran from an attack on its march to an Iranian (nuclear) bomb, because of the excuse that the nuclear (facilities) are for civilian purposes?" fumed a senior Israeli diplomat at the Prime Minister's Office quoted by Israel Hayom. Significantly, all of Iran's nuclear facilities are classified as civilian, regardless of the actual covert activities being conducted at the sites. As revealed by Arutz Sheva last Wednesday, article 10 on page 142 of the 159-page deal contains a highly problematic clause, according to which the "E3/EU+3" - another designation for the P5+1 countries consisting of the US, UK, France, Germany, Russia and China, as well as the EU - will train Iran to block sabotage. In the deal the world powers obligate to "co-operation in the form of training courses and workshops to strengthen Iran's ability to prevent, protect and respond to nuclear security threats to nuclear facilities and systems as well as to enable effective and sustainable nuclear security and physical protection systems." Leaving no doubts about the intentions, the text then promises "co-operation through training and workshops to strengthen Iran’s ability to protect against, and respond to nuclear security threats, including sabotage." In previous years a number of cyber sabotage attempts that have successfully halted Iran's presumed march to the nuclear bomb - most famously the 2010 Stuxnet virus - in cyber attacks popularly attributed to Israel as well as US President Barack Obama. Defense Minister Moshe Ya'alon in May 2012 indirectly hinted that Israel may have been behind a computer virus that followed Stuxnet and was launched against Iran, known as the "Flame" malware. Making the Western training of Iran to block sabotage all the more significant is the fact that a military option to take out Iran's nuclear program is seen as becoming increasingly more difficult, particularly after a top Iranian general announced last week that Iran will unveil new missile defense systems in September including its own version of the Russian advanced S-300 system. It has been warned that the advanced systems would be able to block an Israeli or American airstrike aiming to take out Iran's covert nuclear program that reportedly is aiming to build a nuclear arsenal.